A riot policeman's view of the demonstrations and violence which brought France to a standstill in 1968. 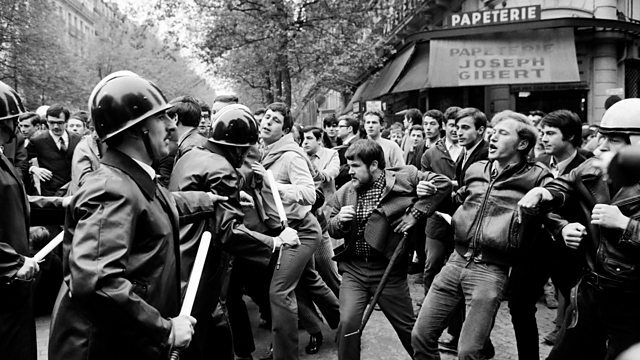 In May 1968 student demonstrations spread across France and when workers joined the protests the whole country was brought to a standstill. Jean-Claude Pruvost was a young policeman who had to face the violent protests on the streets of Paris as the authorities tried to restore control. He has been speaking to Lisa Louis for Witness. Guy Sorman, a 24-year-old student at the time, remembers the riots of 1968.